Basic yoga postures are performed with breath, feeling and awareness. Longer holding of the poses allows for a release of tension and a building of energy and strength. Breath work and a guided relaxation at the end produce a calm, energized feeling. This class is suitable for beginners. A focus on proprioceptive facilitative movement in Yin. Yoga Flow is an all levels traditional yoga class that combines a core strengthening vinyasa flow with slow pace passive stretching. 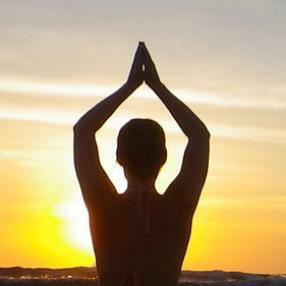 This class will leave you feeling centered and alive! Recommended for beginners and experienced alike. Flowing movements will alternate with longer holdings of the postures to target areas of the body that often feel tight and constricted, like the upper and lower back. 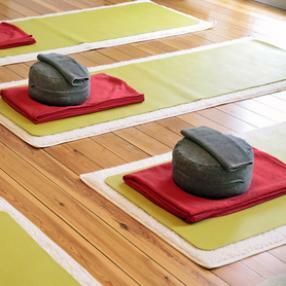 The practice aims for relaxation and well-being on the level of body and mind. Each class will incorporate a relaxation or visualization and a short meditation. The class is suitable for all levels. A unique blend of strengthing dynamic flow with gentle long held passive stretching. Yin Yang is designed to create a physical, mental and emotional balance between yin (passive) and yang (active). Accessible for students at any level of practice. Safe, mindful classes appropriate for beginners through advanced practitioners. Focus on lower body stress relief by supporting the body and holding postures. Yoga Nidra, Yogic Sleep for deep rest & nourishment.